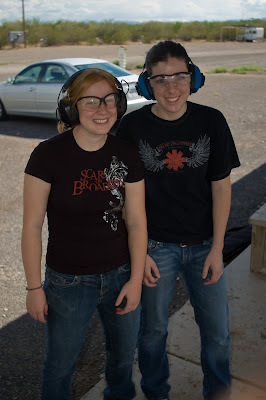 On Saturday night, a few friends and I decided that we hadn’t gone to the range in a while. Clearly, this needed to be rectified. Additionally, my friend’s girlfriend (hereafter referred to as “J”) had revealed that she had never been shooting, but wanted to learn. 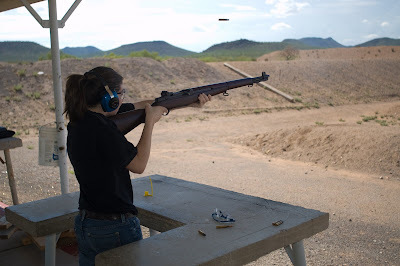 So, on Sunday afternoon we went to the Tucson Rifle Club, paid our fees, and spent about three hours shooting. 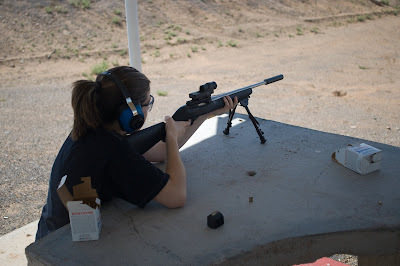 Once more, my suppressed Ruger 10/22 proved to be an excellent rifle for teaching new shooters, as well as a fun one for the more experienced shooters. 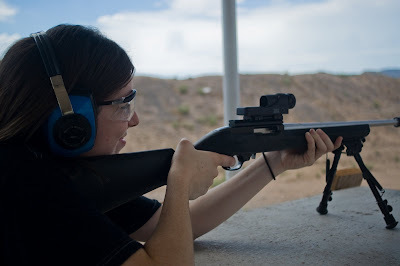 The M1 Garand and AR-15 were also big hits. Some of the highlighted photos follow the cut. The entire album can be viewed here. J takes her first shot. They also like loud ones. 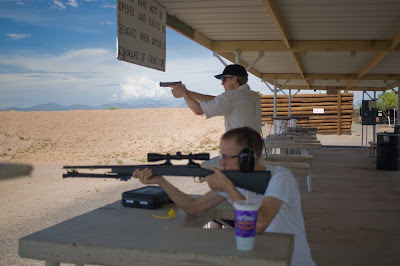 .223 and .45 being fired in a Stevens rifle and Kimber pistol by two brothers. 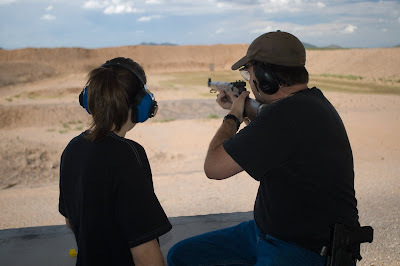 Yours truly shows J how to operate an M1 Garand. Let me know if you are interested in entering the newbie competition. Sure, I’m in. I’ll drop you an email as required on your page.